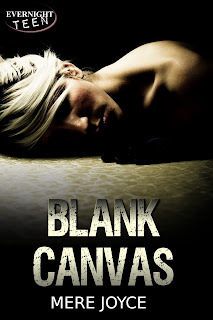 Guest Post featuring Blank Canvas by Mere Joyce w/a rafflecopter giveaway! beautiful boy next door and childhood best friend Wesley. But paint is everywhere, and tormenting shadows linger in every portrait she encounters. scholarship and start planning a future far away from the horrors of her past. overcome her fear of the canvas, or give up painting forever. “Hello, Maddie,” Tim says, taking a sip from his Healing Expressions coffee cup. I’m glad he and Juliet call me Maddie instead of Madison, like Klara does. I’ve gone by Maddie since my days in preschool, and being called it here makes the office seem slightly less institutional. Of course, it doesn’t make this moment any less awful. side of the glass panes. the same thoughts now as I gaze over the parking lot, far out to the park, the townhouse complex, and the streets beyond. So many people sleeping, reading, shopping––all while I’m here, trapped behind a wall of glass. It helps to keep my back to the easel. Slowly, the panic of my arrival subsides, and I take full gulping breaths until I’ve settled into muted unease. “How are you feeling today, Maddie?” Tim asks. He remains seated. I get antsy if his six-foot-three inch body looms over me. “I’m fine,” I lie. I’m never fine. Not anymore. But declaring it is like stating the obvious. prying, of guiding me into frigid, infested waters every time we meet. “It’s fine,” I say, shrugging my shoulders. Tim’s chair scrapes across the floor as he stands. I keep my eyes fixed on the parking lot outside. I’ve found Wesley’s tiny van, and I watch it intently. The tension I nearly shed on the ride over here is creeping back again. I hate therapy. I don’t understand how digging into every unpleasant crevice of my subconscious is supposed to make my life easier. “How about the news? Did you watch any?” Tim asks, even though I’m already shaking my head. “Y-You know I didn’t,” I reply, and Tim breathes out, the resulting sound just short of a sigh. “How many times have you had to avoid his picture?” he asks, and I squeeze the pillow until my fingers are white. “S-Seventy … S-Seventy-two,” I choke out. It’s become a habit keeping track of the number of times I stop myself from seeing him. When I go to the drugstore and see the papers lined in a hideous row. When the news comes on, and reporters rehash what happened. In the beginning, it was far harder. There were articles all over, news stories, constant threats to my sanity. Five months on, most of my count comes from the personal attacks, the times I remember something, imagine something, and his face almost manages to push its way in. conversation I wasn’t supposed to hear this morning. One of the earliest things I was certain about when writing Blank Canvas was that I wanted Maddie to have a good relationship with her family, especially her little sister, Autumn. I didn’t want jealousy or blame between these two siblings, and I didn’t intend them to be always fighting. I wanted them to be friends, and I wanted Autumn to be a source of hope for her older sister. But even with these thoughts in mind, I didn’t expect Autumn’s role in Maddie’s story to become so important. I thought, at first, that Autumn would be a minor character, there for occasional conversation but not actively involved in Maddie’s grief. Yet I soon discovered that Autumn had a big personality just waiting to be explored, and I quickly decided I would give her a chance to shine. And of course, shine she did! Autumn is very much Maddie’s light, a ray of sunshine in her otherwise stormy life. She has her own existence, with her own troubles and her own passions, and Maddie understands this. But Maddie also knows her sister will always be there to smile when a smile’s needed, and that quality cannot go unappreciated. 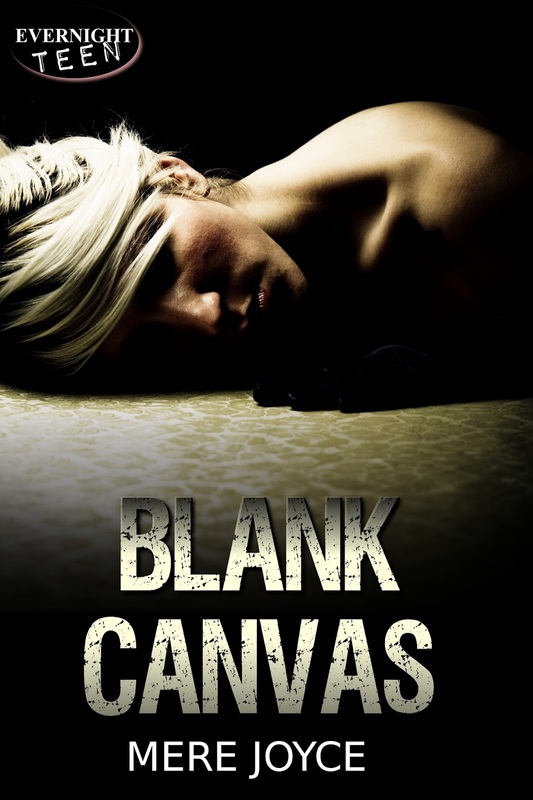 Writing Autumn’s scenes were some of the happiest moments I had during the creation of Blank Canvas. I love her enthusiasm, her determination to be a positive influence for her sister, and her total lack of restraint when it comes to pushing into her sister’s life. It was a joy to write someone so unguarded and so unafraid, and I hope I get more opportunities to create characters with her kind of spark in the future. Author BioMere Joyce lives in Ontario, Canada. As both a writer and a librarian, she understands the importance of reading, and the impact the right story can have. She is a member of the Society of Children’s Book Writers and Illustrators, and holds a Masters of Library and Information Science from the University of Western Ontario. When she’s not writing, reading, or recommending books, Mere likes to watch movies with her husband, play games with her son, go for walks with her dog, and drink lots of earl grey tea with orange chocolate on the side. Thanks so much for hosting me today, and for being a part of the Blank Canvas tour!